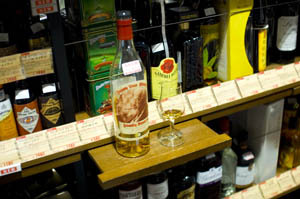 Liquors Hasegawa focuses on hard liquors, with an impressive selection of rare Bourbons and Scotch whiskeys. Best of all, you can try them out in the shop - Y150-200 gets you a 10ml pour of many of the bottles they carry. 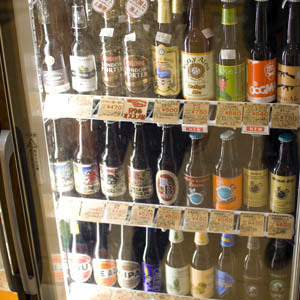 Beer fans can find a decent selection of Japanese, British and other craft beers by the bottle. 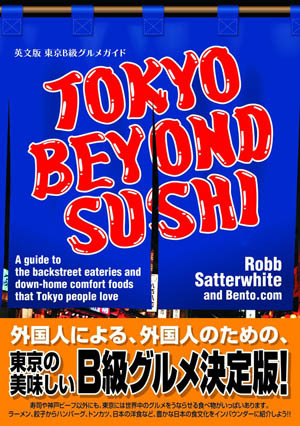 The shop is located in a basement shopping arcade next to Tokyo station on the Yaesu side. 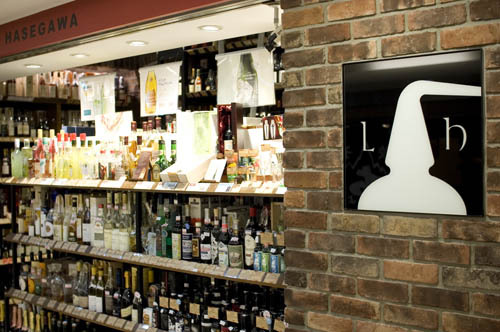 Not to be confused with the similarly named sake specialist Hasegawa Saketen, which is inside Tokyo station (also in a basement shopping arcade). Chuo-ku, Yaesu 2-1, Yaesu Underground Shopping Naka #3.